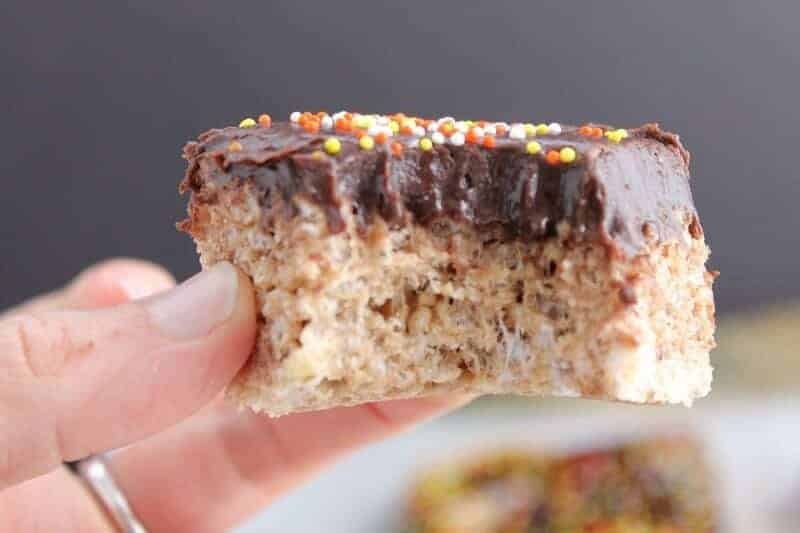 These Chocolate Cake Rice Krispie Treats are a chocolatey gooey snack that combines two of your favorite desserts in one! Hey all! It’s Nancy from The Bitter Side of Sweet here again! 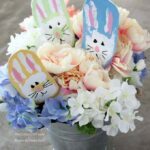 I can not believe that it is April already! Now I am completely getting the summer itch, I just wish the weather would get on board. Here in midwest we still had snow last week and temps in the 20’s. UGH! I saw these Copycat Neiman Marcus Chocolate Chip Cookies and they seriously look amazing! And since you guys like your chocolate I decided to make chocolate cake! Well sort of! The kids were out on Spring Break and had a play date. They always want to throw tea parties with their friends and I like to make special treats. 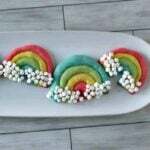 Because we were headed out of town the next day I didn’t really want to bake anything. 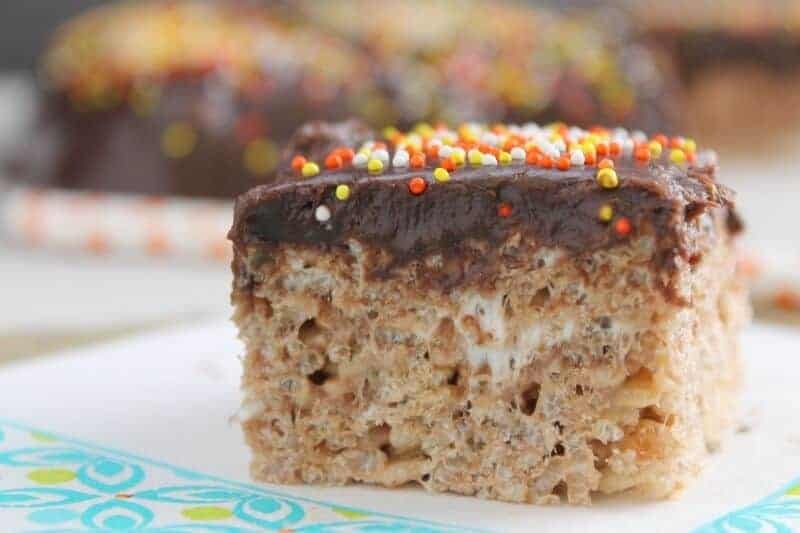 So I grabbed a few simple ingredients and made these Chocolate Cake Rice Krispie Treats! I threw some frosting on top and my 4 year old insisted some sprinkles as well! They were ready in about 20 minutes! ENJOY! Spray a 8X8 pan with not stick cooking spray and set aside. In microwavable bowl add butter and marshmallows. Microwave for 1 minute stirring after 30 seconds. Stir in cake mix and cereal. Stir till completely incorporated. Spread into pan and allow to set for 20 minutes. Top with frosting and sprinkles. Cut and ENJOY! I am craving something chocolate! 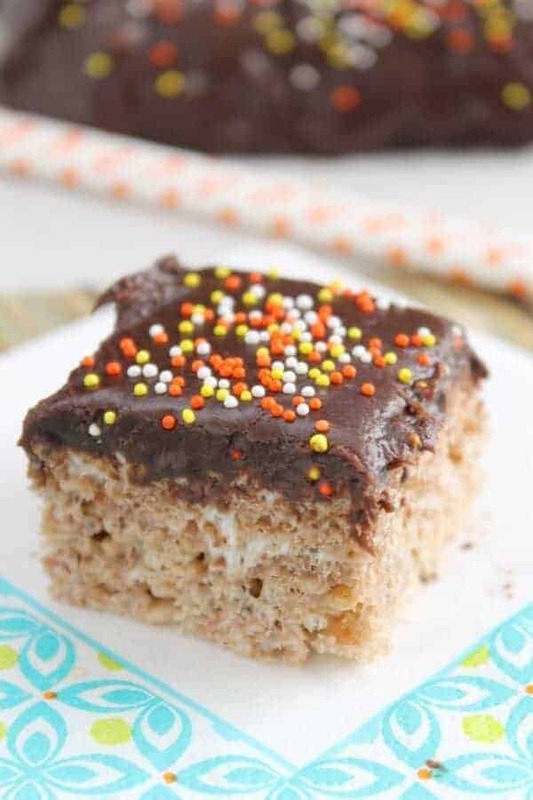 These chocolate cake rice krispie treats sound amazing. Welp…there goes my diet. I can never resist recipes like this 🙂 I was thinking about trying it with Cocoa Krispies for some extra chocolate kick. Or do you think that will be too much? It is NEVER too much! Wow ! This great recipe. Chocolate cake breakfast is very good. love that you latest so many them dedication and that means ti must be extra delicious . Is it crispy? it looks crispy to me. Impressed by the work done by you!!! thanx for sharing !! Thanksgivukkah – It’s a Holiday Miracle! Smoked Salmon Dip – Alaska Inspired!